12:33. R 537 arrived in Brig. I take my things and get off the train here. Time for lunch. But first I need to look around a little bit. 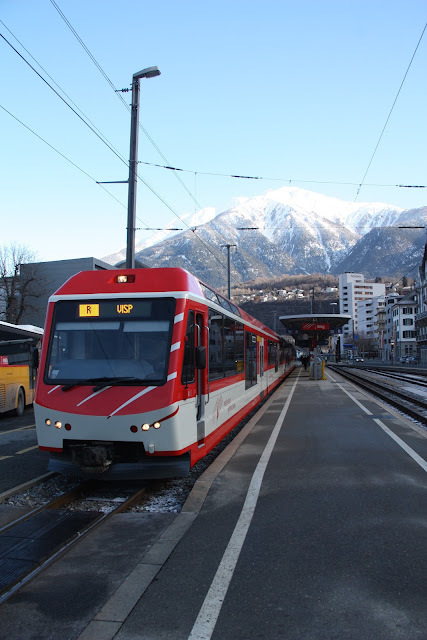 In Brig the Matterhorn Gotthard Bahn trains arrive on the Bahnhofsplatz in front of the station. 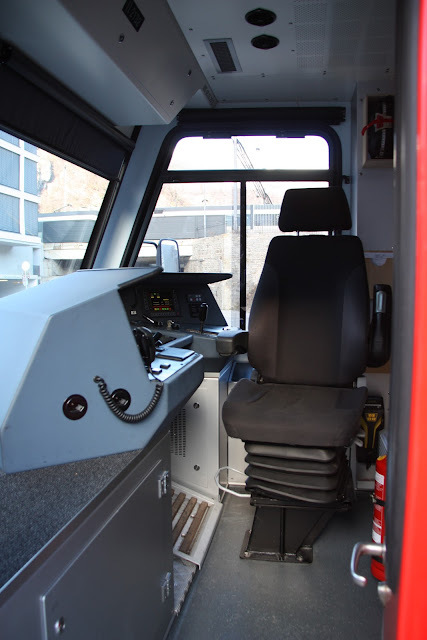 The train crew had a shift change here, so I got to peek into the unoccupied cab. 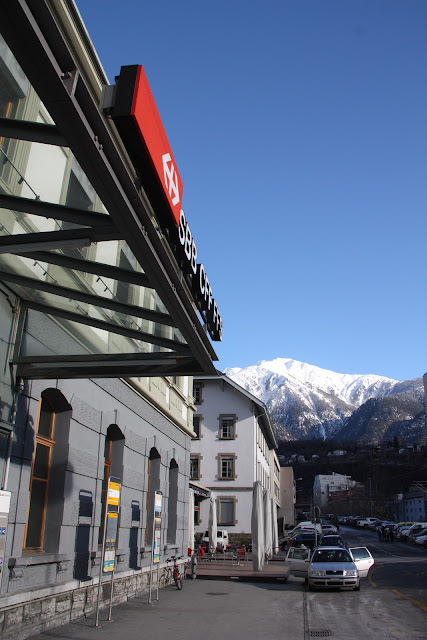 Brig is located in the valley between the Loetschberg and Simplon tunnels on the BLS main line. 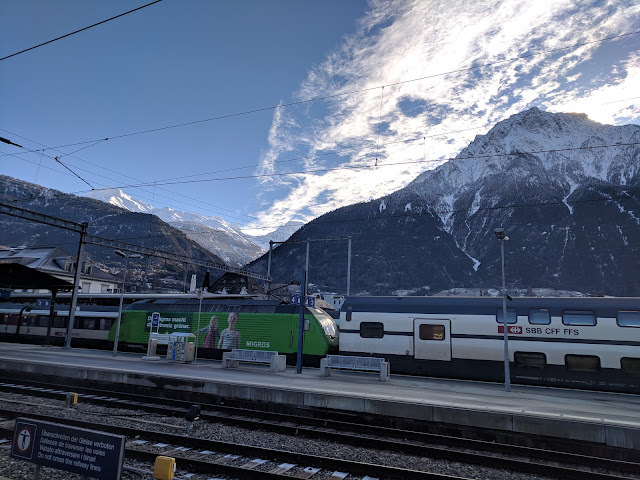 Italy is on the other side of the Simplon tunnel. Therefore Brig has always been a major servicing hub and has extensive facilities. 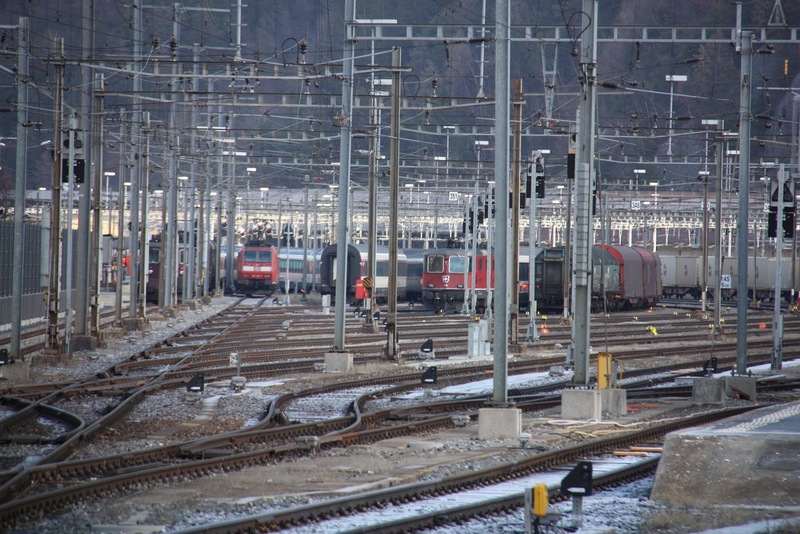 Hey look, there's a DB class 185 in one of the storage tracks. What is it doing here? 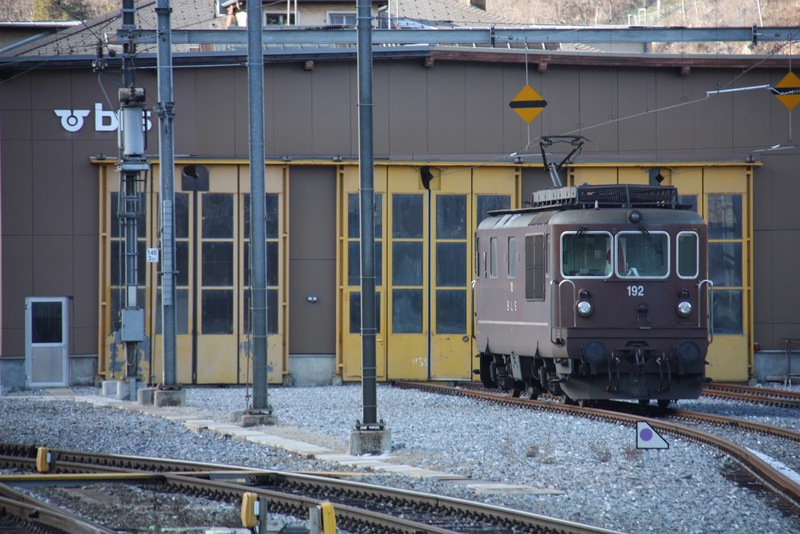 The car loading facility for the Simplon trains is right on the rear side of the station area. I decide to take a look at that, but first walk into town and look for something to lunch. There's a bakery right next to the station. I get supplies and walk into town anyways. 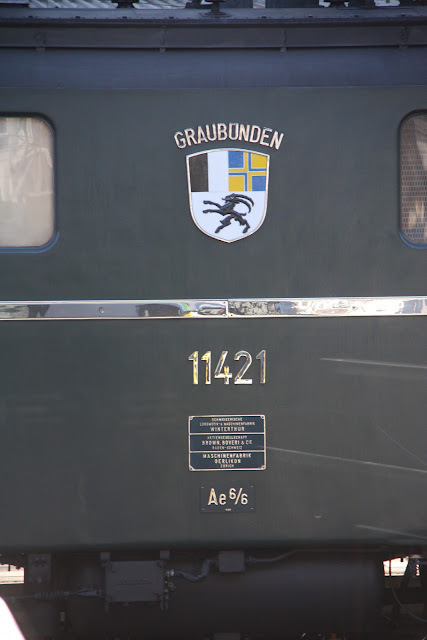 30 minutes until the next Loetschberger Regio train is leaving. I have the time. One of the few remaining SBB Ae 6/6 locomotives from SBB Historic was moving about in the service facility when I arrived in Brig, and I was able to catch it shortly before boarding my next train. 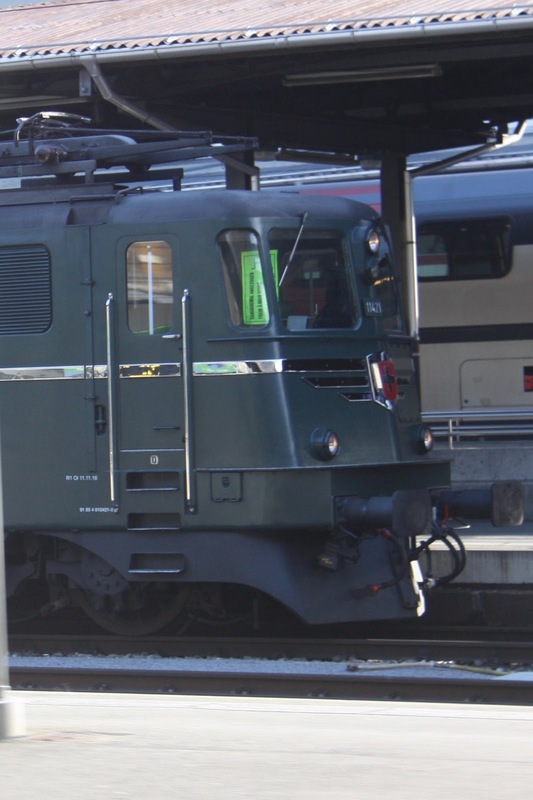 Unfortunately, it was two platforms away and partially obscured, so I didn't have a chance to photograph the whole locomotive.